FIFA proclaims that despite time needed for video reviews, "All the minutes, all the seconds, lost ... will be added at the end." 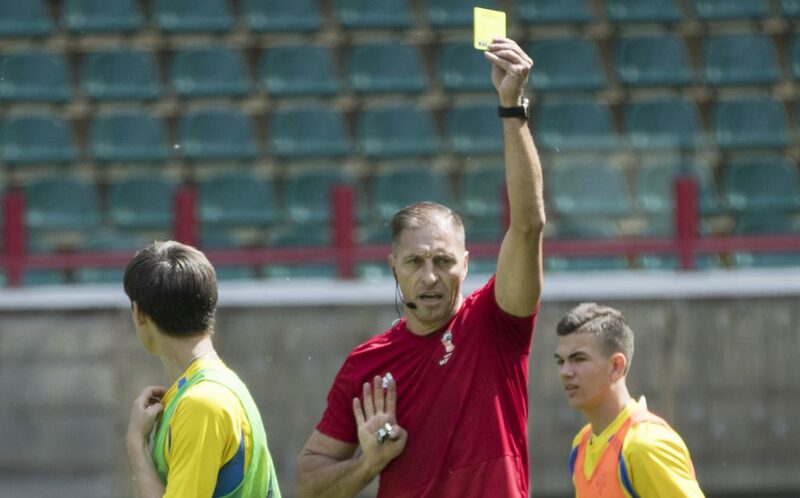 MOSCOW — World Cup referees must ensure all the time used for video review is played at the end of each half – even if a stoppage takes 10 minutes. FIFA’s instructions to more than 100 match officials in Russia were outlined Tuesday, two days ahead of the often-contentious technology making its World Cup debut. The process for reviewing one of the most complex incidents that can be reviewed – a running confrontation involving all players – will take as long as needed. The first referee in the spotlight is Nestor Pitana of Argentina, who handles the Russia-Saudi Arabia match in Moscow on Thursday. FIFA picked Pitana for duty, with Massimiliano Irrati of Italy leading a four-man video review team. They will work at a FIFA control center in the Moscow suburbs, several miles from the Luzhniki Stadium. Referees can call for reviews of possible clear errors and serious incidents missed in game-changing situations: goals scored, red cards, and penalty awards, plus mistaken identity. FIFA’s advice could lead to more decisions reviewed – and potentially overturned – having asked officials to let play flow and keep the option of a later review. Video review still has doubters after a first full season in top leagues such as Germany’s Bundesliga which opted to use the technology. Teams and fans have been angered by some slow and confusing decision-making process, repeating problems seen in Russia at FIFA’s Confederations Cup warmup tournament last year. “It is ready for the World Cup but don’t think it will be perfect,” said Busacca of a system that has been tested since 2016 and formally approved in March. Collina stressed that the outcome of decisions “is what really counts at the end of the day.” And the 2002 World Cup final referee has opted for experience to set the tone in the first of 64 games. Pitana refereed four games at the 2014 World Cup, and Irrati is from Collina’s native Italy which used video review in Serie A.